You are here: Home / Air and Water / Why Do Animals Eat Ocean Plastic? But why do marine species ingest plastics? Scientists have long known that ocean plastic is consumed because it looks like food. For example, sea turtles often mistake clear plastic bags for jellyfish. But according to a new study recently published in Science Advances, animals are not only consuming plastic because it looks like food. Apparently, it also smells like food. Here’s why. Krill, a small crustacean and primary food source for many seabirds, consume algae. When algae breaks down in the ocean, they emit a strong sulfur odor from a substance known as dimethyl sulfide (or DMS). Seabirds searching for food have learned that the strong sulfur smell will lead them to krill. But there’s one problem. Floating plastic debris provides a great surface for algae to grow on. As this algae breaks down and emits the sulfur odor, seabirds hunting for krill follow their noses into this so-called olfactory trap. Instead of eating krill, they wind up feeding on plastic. More than 200 animal species are known to have consumed plastic, including turtles, whales, seals, birds, and fish. For years, researchers have implied that it’s the appearance of plastic that draws animals to it. But this emerging research suggests there are also other factors at play, such as smell. Understanding all the factors that would motivate marine species to consume plastic debris – and how to combat it – is critical for the preservation of many species. Photo, posted September 29, 2012, courtesy of Trevor Leyenhorst via Flickr. 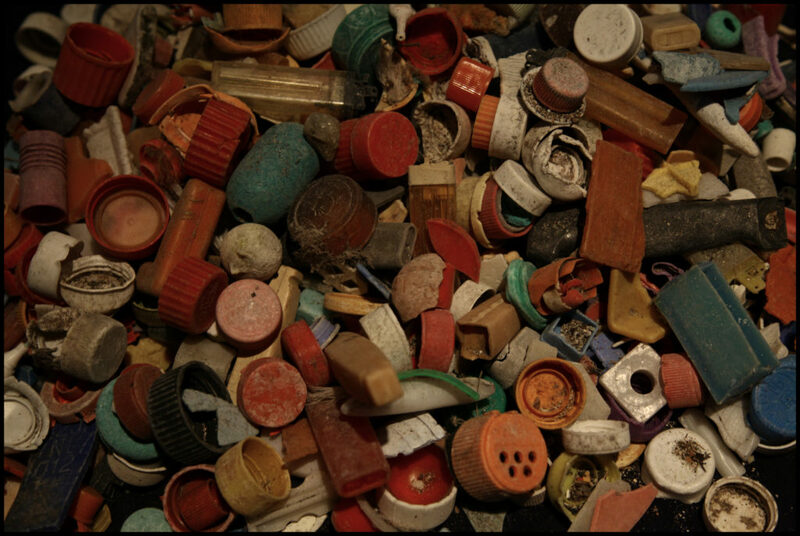 ‘Ocean Plastic and Animals’ from Earth Wise is a production of WAMC Northeast Public Radio.